The best reaction to giving someone results is definitely “you’re joking.” This can be of the whole cohort, or individual students. “Read it again,” is also lovely. The traditional “YES” is also good to hear. I am, of course, immensely proud of the individual students who have defied expectations and achieved awesome grades, leading our department to celebrate 95% A*-C grades, including 35% A*/A. I’ll blog more about what the department does throughout the year, but suffice it to say, for now: they are magic. I’ve received a lot of misplaced congratulations. Lovely as it is, having been in a school a single year does not make these results mine. The results are first and foremost the students’: an incredible group of young people who worked incredibly hard. Then their teachers, who have worked hard for five years to put the kids in this position. Then, I think, the Headteacher. These year 11s were also her first year 7 cohort as a new Head. The great education they have received has everything to do with the kind of school she has run and the expectations she has of the students. And of course my predecessor line manager, who teed the students up in the previous years, built a fantastic team and then supported me throughout this year. As crucial as it is to acknowledge a job well done, we have to look forward. I’m a huge fan of American Charter Schools, some of which are operating in areas of nearly 100% of students on free school meals and sending whole cohorts of students to prestigious four year university courses. Closer to home, schools like King Solomon Academy, whose students achieved astonishing results which have the capacity to transform their life chances, provide an inspiration and benchmark for what we aspire to. Even 100% A*-C in a single subject would be a failure of sorts; students need to achieve Bs in a host of subjects in order to have the door to A-levels and thus top universities open to them. 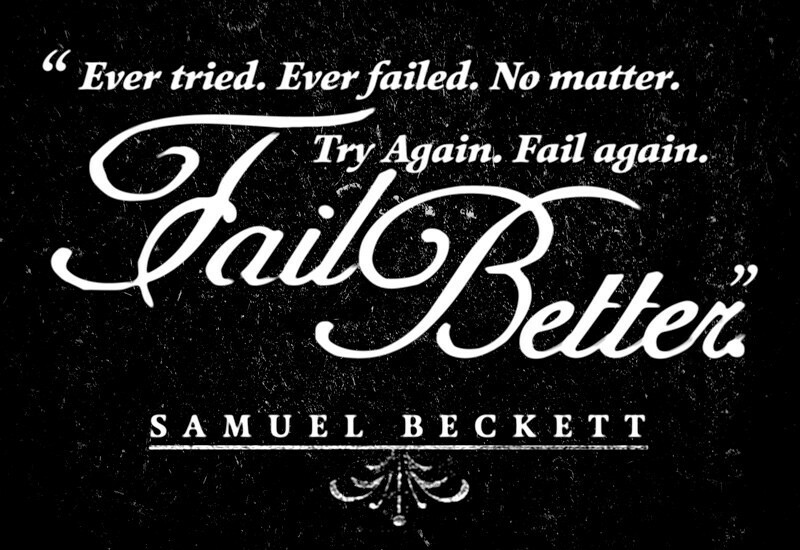 We have to learn from successful institutions and allow ourselves to dream big; to perhaps “fail” again, but to (hopefully) fail better. The original title of this document was “10 books which changed my life.” It was rapidly clear that I would not be able to cut down my selection so easily. I made this list as a parting gift to my year 11 class. Having only taught them for one year, I am racked with the guilt of having done little more than push them through two courses, re-do coursework, and rehearse exam technique; throwing only a handful of reading lists at them along the way. Each student in my year 11 class deserves more from their education in English, and I will always regret this lack. I have utterly loved teaching them: I’ve never bonded with a class so quickly, which is absolutely down to their warmth, energy and boundless personality. They accepted me, and trusted me; in return I put them in the best position I could to pick up a few GCSEs. I’ll also, strangely perhaps, miss their parents: the support and encouragement and gratitude I’ve heard down the phone on my Thursday evening quests for contact have made a huge difference in my students’ commitment and effort this year. Huge regrets. If any of them go on to study English at A-level, which a surprising number have hinted they might, I hope they find more inspiration and love of literature there. A number of students came to see me and have the list, but the year group was granted surprise study leave at the final hour, and so not obliged to come into school yesterday. In the unlikely event that one of my most dear children ever stumbles over this post, I’ve pasted the entire list below as I would have given it to them on Friday. Year 11: you are truly amazing humans. Here you go. With very few exceptions, each of these was read between the age of 16 and 19. I think those three years are formative, and what you read then will leave an indelible mark on you. I encourage you to read, read, read now – as much as you can. This short novel seems to me to epitomize everything it means to be a teenager. It is the rallying cry of disaffected youth. This story is part horror, part humour; wholly Gothic in setting and yet eerily familiar. The ending will never leave you. This writer reminded me that the best books to read aren’t always the ones being taught at school or university. Pure pleasure reading! This play made me think more than any book I had ever read before. What is it all for? Why are we here? What are we waiting for? I’ve never cried so much before or since because of a book. This play explores a truly human tragedy; one we can all relate to. This was the first book of poems I had read cover to cover, and it seems to tell the story of a once bright love crumbling, leaving only remorse. I dreaded studying Austen – I thought it would be hard, and boring. It is, in fact, hilarious and touching. This is my favourite play. Not only one which explores ideas of prejudice, but also one which reveals how we tick, and how we can be ingeniously manipulated. More than Of Mice and Men, this epic tome brings the suffering and hope of the 1930s West Coast of America into sharp focus. An epic tragedy. Love, regret, carelessness and humanity, along with some of the most gorgeously expressed prose imaginable. My favourite book by one of my all-time favourite authors. A beautiful romance, told beautifully and feelingly. The whole of human life is contained in this novel: through the microcosm of a Victorian village, we see into the minds and souls of humans. This book was the first which brought home to me the tragic inequality of society. For all his sins, Jude is a man doomed from the outset by an accident of birth. An autobiography of a nurse in the First World War; no war book I have read has come close to creating the emotions and experiences of that time. Experimental and modernist, this text is raw with suffering and emotion. Told by one family about a dead body being transported to her final resting place. All of history and gendered experience told through a single character who seems to live every life. A poem which retells the Old Testament. Especially powerful on the fall of Satan from Heaven, and luxuriously worded. A play which seemed to me to reveal what relationships were really all about. Also quite tragic. All of the characters are immaculately drawn individuals, believable and perfectly recognizable. Although pessimistic, I felt at the time of reading this novel that I understood what makes marriages work. I’m no longer sure of this assertion! The gift of this novel is the way the narrator hooks you in. It is only after you finish that you begin to wonder if there is an alternative version of reality hiding in the pages. Murakami makes real for me a country I have never been to, and in an other-worldly unfolding of events also reveals true, human emotion. I remember keenly the late March, early April of my first year of teaching. My colleagues, buffeted and disheartened, seemed to be clawing their way through Spring 2 as I blithely looked on, just getting into my teacher stride, wondering why everyone else was having such a hard time of it. That was the only year of my teaching career I haven’t had an exam class. Now I know. I firmly believe that the Spring term, although it begins calmly enough, is the hardest term, crescendoing into Spring 2 with a the strength of many tornadoes. All of a sudden, these become very real. I started a countdown in my diary (40 days until language coursework call-up, 30 days until Speaking and Listening exams need to be completed, 20 days to sort out the Literature Controlled Assessment) to try to keep all of these straight. Throw in a bit of self-evaluation and it’s suddenly deadline city. I quickly cancelled as many learning walks/book looks/student surveys as I could get away with. In fact, what was I thinking? In the future, Spring 2 should contain no superfluous deadlines. The above deserves double, if not triple, mention here. It’s all about your students having the strongest portfolio to show the exam board what they can do. A folder which was looking fine to me in November suddenly appears to be full of gaping errors and misplaced apostrophes. Re-drafting (or re-writing) happens in all the snatched time you can find. Other subjects begin to grumble. Year 11 students become gold-dust. Those gold-dust year 11s who are borderline in your subject also seem to be borderline in everyone else’s, and the bidding war begins. What was previously “only English on a Tuesday” turns into fierce bartering, as actually we’d like the students Tuesday, Wednesday and Thursday this week for Controlled Assessment; so I need to give up some year 11s to you next week. Who’s keeping the revision attendance to inform parents of who was there, not there, and excused on this occasion? Oh that’s me. My spreadsheet begins to look labyrinthine. I have to translate this into something digestible for SLT. They look at me with quizzical faces in the relevant meeting. Even I can’t make it out anymore. I also feel like I spend my life on the phone to parents, chasing children and barring the door at 3.20pm so they can’t leave until I have imparted precious wisdom. Which means exclusions, reports, internal referral and more phone calls home, leaving teachers doubly tired for the next lesson and primed for more behaviour to happen. Well, maybe not over, but definitely paused. No switching rooms with the person in the drama studio to have a real go at some practical work with year 7 – the tiny classroom will have to do as I don’t have the time to organize anything beyond turning up with my wares and ideas. Trips also feel like a far-off memory – I’ve taken only two this term, and each (while marvelous and enriching) nearly killed me. Do I sound pessimistic? I don’t mean to; I’m just tired, like every other teacher in the country, particularly those with exam classes. I share this in the knowledge that we are not alone; we are all part of a shared effort to get young people to the best possible position, so we leave as little up to the chance of the exam day as possible. Our students lead hectic lives, and by this point in the year, with some, it becomes apparent that so little of what really matters is within our control as teachers. Yet I feel a renewed sense of purpose: after all this work, from students and teachers, parents and leadership, how can all the lovely children not reach their target grades? I’m hoping it is enough, and I’m hoping they can keep going for just two more months. Having spent the past 4 Saturdays in school working on coursework, you would think I’d want to spend my first Saturday “off” not thinking about it. I’ll admit, I didn’t think I would get along with coursework. I began teaching as coursework ended; I’d been trained in Controlled Assessment and as far as I was concern, it was a great grade-getter. It also gave me several hours at the end of each term of catch-up marking during precious lesson time while the little chickens wrote for their lives, which in the early years of teaching was a vote-winner for me. Controlled Assessment was controlled; entirely in my power. They did it, handed it in at the end, I marked it; nothing went wrong, I didn’t have to chase anyone. Indeed, my first year teaching coursework was last year with an AS group. I found myself threatening students that I would be submitting a draft version, or not marking a draft, because they had missed the various deadlines by so long. I found myself caving to my own threats as I recalled that their grades were my performance management; life lesson for them spared. As I spent so much time calling home and calling students and tracking them down, I was moved even more to appreciate the wonders of Controlled Assessment. Moving to my next school, then, I was a little nervous to be told that we taught the iGCSE for English Language, which requires no Controlled Assessment, but instead three pieces of coursework, each totaling 500-800 words. Particularly picking up a year 11 class, I did not fancy my prospects for an easy life. Yet I have grown, very quickly, to love coursework, and, in particular, to despair at its eradication from the English curriculum. Coursework has at its heart re-drafting. Until this year, I had never taught that skill. It changed the way I taught almost immediately. The focus on dialogue marking had never seemed so relevant: we want students to learn how to improve and then be given the opportunity to do it! Unlike Controlled Assessment, where an errant C from an A-targeted student would lead to many hours of re-teaching, re-taking and re-testing, instead I could cover a page with questions (“how could you make this simile more interesting?” “can you think of a better word?” “CONNECTIVES?! ?”) and supervise them as they made the small tweaks which would make all the difference. In year 11, we learned the texts for the Literature exam, and spent some time tweaking the three best pieces of coursework, marking and re-marking; never correcting, but always guiding. It felt holistic. It felt right. It felt like I could teach a child, rather than an assessment. Then there were the tiny handful of children who had not achieved a C in their coursework. Their current marks often indicated several missing pieces. I decided I would give them four Saturday mornings as a small class to work on their coursework. As soon as I met the children (though crucially, not all the children – getting some of these particular lovelies to turn up on a Saturday was no picnic) it became immediately apparent that all should have no cognitive trouble achieving at least a C. Many of them made the necessary changes in record time. It was what they did when they weren’t working which held them back. These were students who had been held back by their own approach to learning; some became easily distracted and a few were prone to grumbling. Most were incredibly frustrated when I continued to demand more of them – more changes, more improvements. Their natural inclination was to give up when it felt hard. We persevered, and encouraged, and praised, and rewarded these students. Looking through most of their folders last Saturday, I could not believe how far they had come, and with really very little guidance above what I gave my own students, most of whom were firmly in C territory and aiming higher. They were nudged in the right direction, kept on the straight and narrow, and produced some really great pieces of work. They also showed me that they were able to work in a focused and positive way for a sustained period of time. Something I’ve always believed is that every student can at least achieve a C in English. I have yet to meet a student who disproves this for me. My caveat is as to how long it takes them. So, for a student who has only just come to the country and speaks limited English, maybe no C for you this time. But with unlimited time and unlimited resources, every student can at least make this benchmark. What coursework gives us is less limited time. The harder to reach students, with poorer attendance and a history of poor behaviour in school, leading to missed lessons and exclusion, can be caught by coursework in a way they can’t by Controlled Assessment, or an exam. Success in coursework can also show these students what they are capable of, building their self-esteem and honing their writing skills. It is more like Austin’s butterfly than a high-stakes C-making factory. My concern with a 100% exam system is that we lose students. There are students who are desperately at risk in our school system, and as children this risk is rarely of their own making. A system which allows students to bank nothing will undeniably lead to some bright spark missing out, and I fear that they will look all too familiar to me. Students need a win; they need to see where they are; they also need to see what they can achieve if they put in the time and the effort. I want to spend less time assessing students, not more. I want to spend more time helping them to make their work as perfect as they can, and I worry that a system which does not value or prioritise redrafting cannot do that. When schools’ reputations and funding are on the line, who doesn’t teach to the test? We have the possibility, though, of a test which is as non-intrusive as possible, allowing for creativity, for making mistakes and for lapses in judgement. This does not just impact on our hardest to reach students, but also our high fliers, who may in the far-flung future turn up at university having never learned the skill of improvement, but only learned how to write the perfect essay in an hour, without a sense of how much more developed it can be with time, effort and research. My year 12 essays this year were a pleasure to mark; students had visited the library (or possibly Google Books) and found critical theory I’d never encountered; their pieces were scholarly and assured. That cannot happen under exam conditions; they must have room to discover and research for themselves by A-level. The argument will be made that it is down to teachers to ensure these skills are still embedded, even while they are not tested. But there is always the looming thought that the best way I can serve my students is to get them the best possible marks. It shouldn’t be like this. I loved my Saturdays with these students. I felt genuinely sad that our time together was coming to an end. Those days, watching students write pieces that they or I had never thought them capable of, and getting to know these wonderful young people in slightly more laid-back settings, made me remember why this truly can be the best job in the world. I’m not going to lie; I’ve had a lovely week. It’s cathartic to moan, and I do a lot of that, and I’m also aware that the mega-enthusiasm I bring to many a table can be unbearable, particularly when my conversees have not had such a happy time. Still, it has been a lovely week. Aside from meeting up with my favourite teacher friends, teaching my regularly amazing and gorgeous classes and having a super invigorating department meeting with some of the other amazing teachers I am privileged to work with, a couple of lovely things happened in the English department. First was that we began the peer mentoring programme with a trial group of 22 year 11 students. I’m going to write about this later in the process, but suffice it to say we had some lower achieving students paired with some higher achieving students, and the enthusiasm, earnestness and synergy happening in the room gave me goose-bumps. It was probably the most rewarding moment of my teaching career to date, but I’d rather not jinx its success by writing too soon. My second treat was to teach an A-level “taster” lesson. We’ve got an incredible year 11 cohort, and would very much like them to take up English next year, preferably with ourselves. I won’t claim credit for the lesson content – that was down to my (oft-mentioned and amazing) line manager. I did stand up and deliver the thing, which is perhaps less important but means I got a lot of the credit. The concept was a journey through literature. We began with some knowledge-mining – how much do students know about when things were written? The spectrum is astonishing; some students knew the exact year of publication of their favourite books, others thought Shakespeare wrote in the nineteenth century. We cleared up some misconceptions and started to introduce students to various periods, beginning with Old English, skipping through Chaucer, onto Spenser, Dryden, Wordsworth, Browning, T.S. Eliot and finishing with Bukowski. All short poems, or short excerpts of poems. The students had to assign each text to a period, having first explored the key features of texts in those periods. They then did some grid work, analyzing the poems and beginning to interpret them. I was frankly amazed at how enthusiastically the students powered through, and how focused they remained. There was a lot to take in; my trusted mentor warned me beforehand: “be careful – you want to excite them about English, not drown them.” It truly could have gone either way, and was perhaps a risky tactic to recruit students. Particularly as during their A-level course, they won’t be traversing every time period in literature, or reading every play or every seminal poem ever written, however much we would like them to. Still, it was such fun. Without a set of Assessment Objectives, or mark schemes; without writing quotas or behaviour management (I took a “softly softly” approach, because they’d chosen to do an extra two lessons at the end of a long week, and let’s face it: they’d chosen to be there, so didn’t particularly need that much “managing”) I felt uplifted, in the way that sometimes happens when I go off on a tangent but they happen to learn something from that tangent. It was empowering for the students, who have more of an outline of context than they had before. It was empowering for me, to look at difficult texts and posit interpretations; stretching and shrinking activities as their interest and mine dictated. All in all, it was truly lovely, and I very much wish that all teaching of all lessons of all days of all children could be like this. Endnote: I over-use the word lovely. My first year 8 class never let me forget it. I stand by my word choice. The below is a very out of character post for me, comprising what are essentially diary entries surrounding the only thing I have been able to think about all week: GCSE results. It’s the day before GCSE results and I am terrified. I have been afraid for this day for what feels like an age, and if I don’t write I will scream. Aloud. In this coffee shop. I come here a lot, so I’m going to write instead. This culture of results defining kids – for themselves, for the school, for their teachers – is beginning to get me down. I found a picture of my year 11s today, and I found myself looking at each face wondering what their news will be tomorrow. How different their lives will look tomorrow. And what I remember is their ample success, the success they have banked already. They have studied for 3 years with me, 2 of those years on two GCSEs. We have come through their anger at being in my class –set 2, not set 1, a tough blow for many. We have got through their boundary testing – those year 9 kids were very different to the young women who left in May. They weren’t a reading class, and at the start I didn’t do a lot to change that. But the class I left had studied some wonderful works of literature: Romeo and Juliet, Macbeth, Dorian Gray, The Crucible, Robert Browning and individual reading projects of classic texts. They have written some truly amazing essays: one particularly notable one was at least of A-level quality, but was pegged down three marks in our moderation because it hadn’t fulfilled all the AOs to the same impressive degree. When kids write beyond the syllabus, I find it cruel to teach them how to jump through hoops. When they can grasp incredibly complex concepts, what a waste of their time to teach them what an examiner is looking for, rather than the very best way to do something. He took his drama students through deep processes to achieve outstanding results. Consistently among the top in the country. This book and the man need to be taken seriously. He saw what was wrong with the course he was expected to teach. So he got rid of unnecessary homework, ‘writing about misery and colouring in pictures of misery’ and replaced it with a notebook in which students would be expected to collect fragments of writing, experiences, dreams, stories, poetry, lyrics, history, theory. The material transformed from fragments to connections and became the ‘clothesline on which the lessons were hung’. ‘I refused to take things students to see things they would normally see, so we never went to Blood Brothers; instead we went to see Beckett, Berkoff, Bausch and Brecht. We would take an unashamedly Socratic approach: questioning, arguing and prompting.’ The exam was a celebration of their exploration – not a jumping through the hoop to get the grades. This is clearly a teacher who stuck to his guns and taught kids what they needed to be taught. Ofcourse that is how you do it, of course that is the best way. Yet I don’t. Not in year 11, the most important year for growing students, before we cast them to the wide world. I don’t because I know I can teach them to pass an exam, and the other way is a gamble. Incidentally, my own English teacher told me a story of yore about a genius child he taught, who achieved an A-star in every GCSE except English. He related that he had looked over the student’s shoulder as he was writing his exam responses and described his work as “degree level English”. My teacher believed the examiner might simply not have understood what the student was writing. Does this sound made-up? It’s a story from so long ago, hearsay, that I don’t want to name my teacher for fear I have mixed details. But I myself taught a sixth former this year. Her ideas and oral expression were phenomenal. Her style was inimitable. I had to unpick her beautifully and effortlessly constructed sentences to work out what she was saying, but I suspected she was just a bit too smart for me. I cautioned her to writing clearly, while also maintaining she needed her own style to mark her out at university. I had her pegged for Oxbridge. She received a D in her AS level. What happened? I fear for my amazing and intelligent 11s. I know how hard they worked and how amazing they are. I know they know more than enough to achieve double A-star. But will they have remembered to jump through those hoops? It feels like I fell asleep about twenty minutes before my alarm went off. Hitting refresh on e-AQA for the 6 minutes before results were officially available paid off, as only three minutes in I had my answers. It’s a strange one. Over the two GCSEs, over 28 students, only one achieved a C – the rest were A* to B. Sounds good right? I’m not sure how my students will feel. My 6 or 7 best deserved an A star, and the fact that not all were even cripplingly close is disappointing. There are also so many more B grades for Literature than I expected; I had heard it was more easily marked, and certainly we spent class time revising Literature (not Language) to the extent that I wasn’t entirely sure my class would all pass the latter. I can’t wait to see the students and find out what they think, but overall I feel deflated. Last year the majority of my class exceeded expectations. Not this year. Perhaps that is the curse of having a higher achieving group of students to begin with: you know they will be fine, and there is numerically less room for them to fly above expectations. Coming to the end of a long and emotional day. So many students were delighted with their A grades, and due to almost no one getting above a B for the poetry paper we are having lots remarked from my class, which could swing some students towards the grade they deserve. School is happy – we have smashed all previous A* to C (including English and Maths) records. Going in meant seeing students who hadn’t known I was leaving, which was horrible. When they mentioned it, they tended to ask: “how long have you known for?” I am chronically unable to lie (this has been and continues to be a massive hurdle in my teaching practice) and I couldn’t face the awful truth of how long I had been duplicitous, so I mostly shifted uncomfortably. Following results, I enrolled students onto our sixth form. I had the pleasure of seeing some of my own students, for whom the world was mostly their oyster, as well as some heart wrenching moments with other students, watching their closely held dreams, usually of medicine, coming to an end. The whole thing has been so emotionally stressful for all involved. And these students will do it again next year. And the next year. Perhaps there is a better way. I think I need a few paracetamol, a good night’s sleep and then a long think.